“Supervisors on Tuesday voted unanimously to issue a notice of intent to purchase the property in a two-step process that involves the Trust for Public Land. 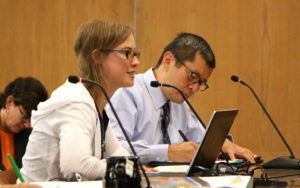 More than two dozen people spoke during the hourlong hearing that preceded the supervisors’ vote. Many were golfers who fear the loss of one of the county’s more affordable golf courses… Evardo Hueso, a San Geronimo parent with two young boys, said, “The value of that space for the community would be tremendous. The value of that ecosystem is something we can’t even put into numbers. That is the problem with thinking of this as a business transaction.”… Trust for Public Land’s Moriarty said, “We know from consulting a variety of experts that golfing has been on the decline including at this course and that the property’s most profitable use is not to run it as a golf course — certainly not one that is open and affordable to the public. “Our concern,” Moriarty said, “is that if the course were placed on the open market it would not endure as a golf course, would not continue to serve the community and that the community would have no control over its future use.”” Click HERE to read the full article. Our very own Aquatic Ecologist from Marin Municipal Water District, Eric Ettlinger, in the recent Bay Nature article ‘A Fish Story.’ “Over the last century, dam building, logging, and development on Mount Tam’s flanks greatly diminished what was once extensive freshwater stream habitat: creeks, pools, and rapids overhung with willow, alder, and sedges and filled with fish, frogs, and otters. These activities drove the mountain’s five major creeks into deeper and deeper channels, separated them from their natural floodplains, blocked fish migrations and sediment redistribution, and spurred erosion… Coho salmon, steelhead trout, and some stickleback are “anadromous” species, born in a freshwater stream or river, maturing out in the ocean, and then returning to their birthplace to spawn. While salmon and trout build redds in gravel hollows on the creek bottom, male stickleback craft their tubular nests with a combo of sand grains, plant bits, and a glue-like protein excreted from their back ends.” Click HERE to read the full article! knowledgeable stewardship.” Click HERE to read the full story. 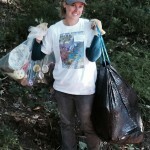 MMWD takes on the largest restoration project in the history of the Lagunitas Creek watershed! Jumping through the hoops of working on state and federal public lands, obtaining all the required permits, being in compliance with NEPA and CEQA, MMWD has managed to carry out an epic instream habitat enhancement project all in the name of boosting federally listed salmonid species such as coho salmon (Oncorhynchus kisutch) and steelhead trout (Oncorhynchus mykiss). 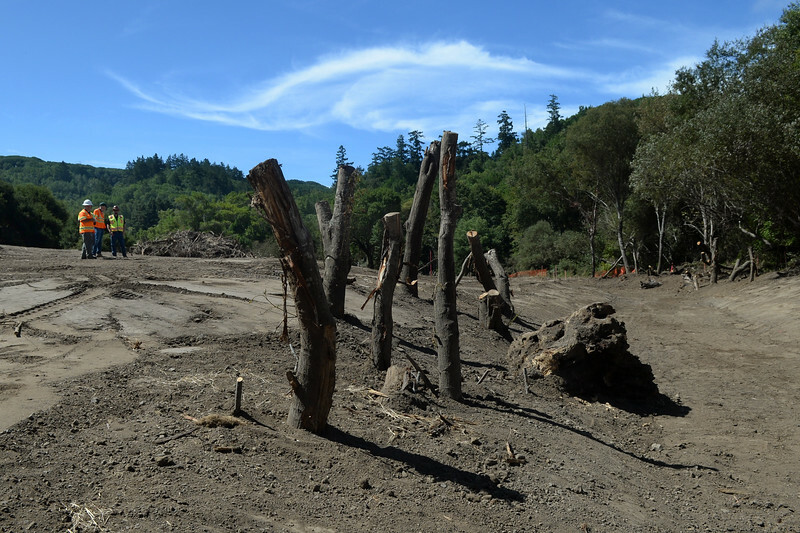 The project spans along ten (10) sites on the mainstem of the lower Lagunitas Creek watershed and includes the installation of LWD (large woody debris) in configurations that will shunt flows onto floodplains, engaging the benefits that floodplains provide to salmonids. More food and slower moving water not to mention all the benefits that LWD provides to salmonids, too! Click HERE to read the Marin IJ article about this new state of the art restoration project in west Marin! In effort to enhance steelhead trout (Oncorhynchus mykiss), Brian LeNeve, president of the Carmel River Steelhead Association has patiently waited nine years for a project to reach construction. 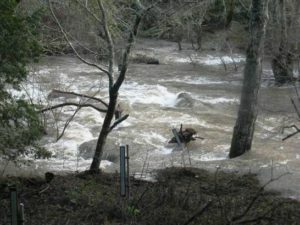 The project consists of a series of boulder and tree root wad structure placement along the lower Carmel River in effort to improve federally protected steelhead. The 11 structures are being placed in the lagoon by means of a helicopter! Click HERE to read the full article. Feds OK New Mercury Protections in California Waters in order to inform people about the levels of mercury in fish typically eaten such as; trout, sturgeon, bass, salmon and other fish. Read more HERE. What are the effects of ocean acidification on the change of salmonid’s ability to sense predators? Well the University of Washington has been looking at the very question and is finding evidence showing an unfavorable change in behaviors. Click HERE to read the article and click HERE to review the study. SPAWN is awarded $158,000 to study flows in Lagunitas Creek, below Peters Dam. Click HERE to read more. 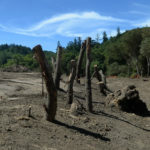 MMWD and Sonoma County Water Agency are doing their part to enhance salmonid habitat in hopes of increasing populations as mitigation for their dams and reservoirs. Click HERE to learn more about what they’re doing in the name of listed salmon. Learning to Love our Lampreys! Tri-City Herald’s Wendy Culverwell covered a great event that just took place in the Columbia River Basin with the Yakama Tribe and neighboring community. The Tribe has come together to support a population enhancement program for the Pacific Lamprey (Entosphenus tridentatus) where 50 adult lampreys were released in early April, 2017 to help boost numbers. This ancient fish is roughly 450 million years old and is a major element for the Yakama Tribe and many other coastal watershed Tribes. These prehistoric fish help improve water quality during their first 4-7 years as they act as filter feeders, living in the sandy substrate of creek beds. Click HERE to read the full article and HERE to learn more about these amazing prehistoric creatures that are here in Marin!! 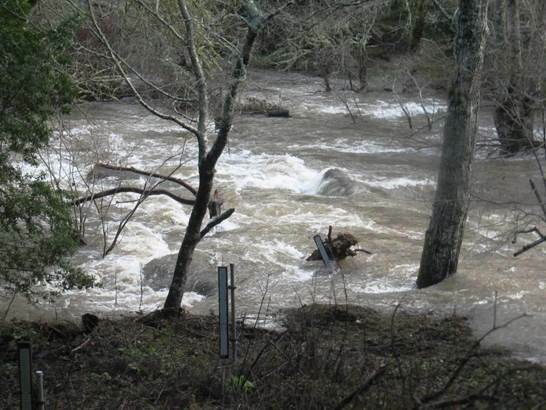 SF Gate also just published THIS article in relation to how our beloved salmon are doing amidst the recent storms of 2016-2017 titled, “California’s Recent Storms are Devastating Endangered Salmon” by Kristin Hanes, January 13, 2017 featuring Eric Ettlinger. Central CA Coast (CCC) Coho Salmon: “Unfortunately the long California drought combined with poor ocean conditions have kept this species teetering on the edge of survival. This year NOAA Fisheries identified CCC coho salmon in its “Species in the Spotlight” initiative as one of eight species most at risk of extinction in the near future.” — Charlotte Ambrose with NOAA Fisheries wrote in this recent article published in Fish-Bio. Click HERE to read the full text. Filtering Toxic Stormwater: A new study was recently released on behalf of Washington State University, U.S. 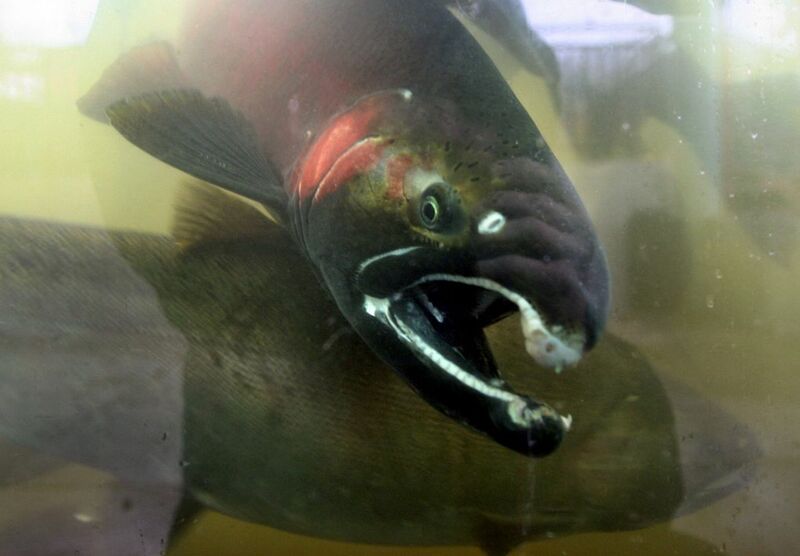 Fish and Wildlife Service, and National Marine Fisheries Service (NOAA) showing that stormwater runoff from urban roadways is so toxic to coho salmon that it can kill adult fish as quickly as 2.5 hours. You can read an article on it from The Seattle Times by clicking HERE or read the full scientific report in draft format HERE. The Salmon Restoration Federation’s 35th Annual Conference is just around the bend! Come to Davis, CA in March, 2017 to learn about a broad range of salmonid and watershed restoration topics of concern to restoration practitioners, watershed scientists, fisheries biologists, resource agency personnel, land-use planners, and landowners. Click HERE for conference details! season, with roughly a month left in this spawning season. We’ve even heard reports of good numbers of coho in the small tributaries to San Geronimo Creek, where they’ve been extremely scarce in recent years. There is a new update to the state of CA’s Fish Species of Special Concern. This has been a a collaborative project of CDFW and UC Davis. The publication includes sixty-two species accounts, a methods section, and scientific references. You can read the publication by clicking HERE. Additional information can be read HERE by visiting UC Davis’ WaterBlog where you can stay informed on CA’s water, fisheries and overall watersheds. The Tomales Roach (Lavinia symmetricus ssp.) has recently changed its status to a Species of Moderate Concern. The main rationale for why is that it has a limited range which is degraded by extensive habitat alteration which is a result of water diversion infrastructures and grazing. Click HERE to read about its life history, habitat requirements, distribution and taxonomic relationships. 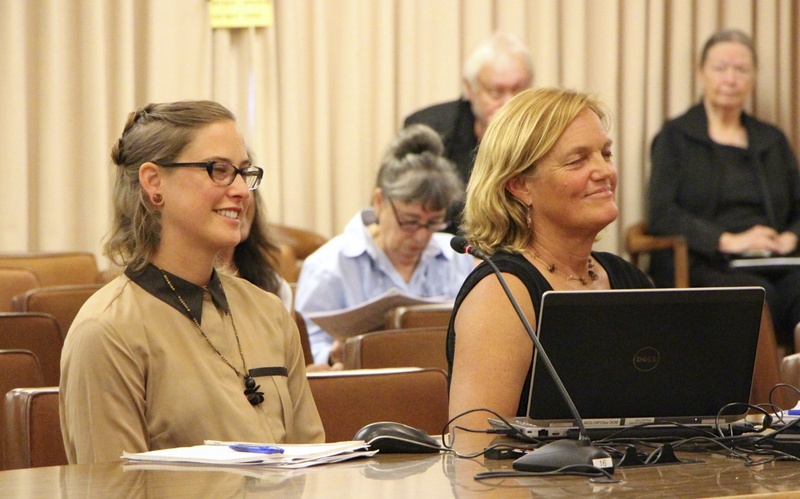 Sarah Phillips, Marin RCD’s Urban Streams Program Manager, reported to the Marin County BOS on July 12, 2016 regarding the USC Program to date, 22 months and running. Click HERE to view the presentation, it begins at the 1 hr 48 min mark. Sarah Phillips, Marin RCD’s Urban Streams Coordinator, reported to the Marin County BOS on June 16, 2015 regarding the USC Program to date, 9 months and running. Click HERE to view the presentation, it begins at the 2 hr 10 min mark. In April of 2016, Trout Unlimited’s North Bay Chapter teamed up with Marin Municipal Water District to teach Marin residents about the invaluable work the two entities conduct in effort to restore habitat for our native finned friends that are in need of our help! Click HERE to read the full article. 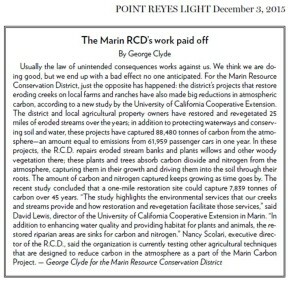 Marin RCD has been taking on Climate Change through its Carbon Farming Program in partnership with Marin’s Carbon Project. 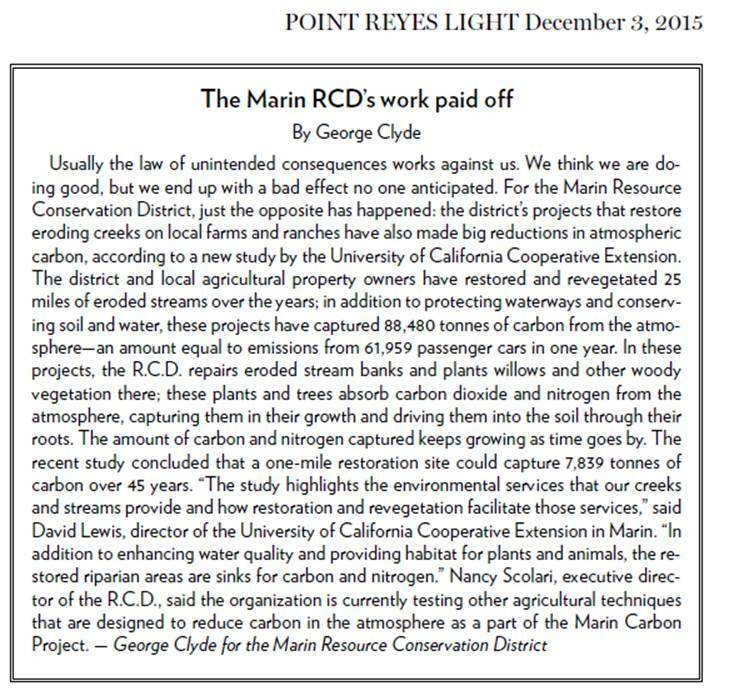 Read this great article written by George Clyde in the Point Reyes Light December 3, 2015 describing UC Cooperative Extension’s recent studies around this scientific effort and the RCD’s accomplishments! Click HERE to read the full article. Civic Center Watershed Restoration Group with Gallinas Watershed Council and Marin County launched two floating islands designed by Floating Islands West into the lagoon in effort to help remediate the pollutants in the waterway. 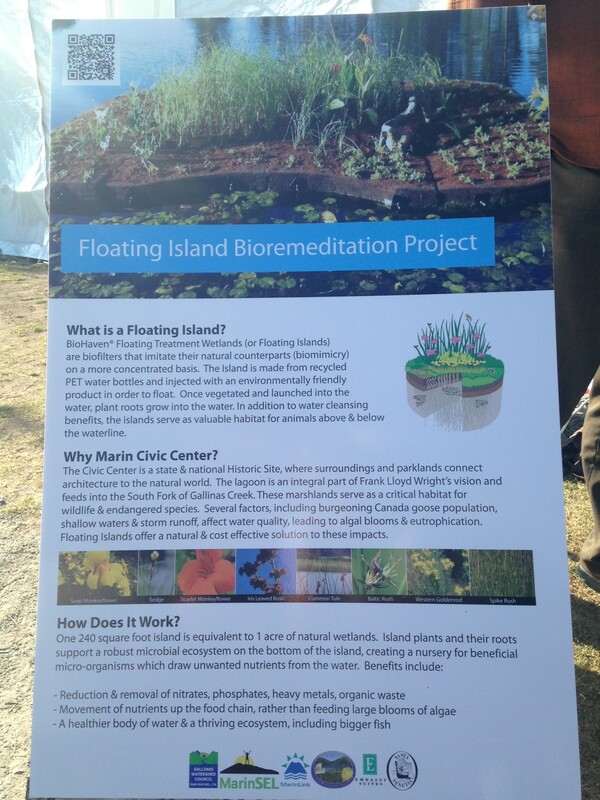 By using specific plants that phytoremediate water and substrate, the islands are a visual reminder of how we can come together as a community to get creative on cleaning up our watersheds! Click HERE to read to full story on the Marin IJ. 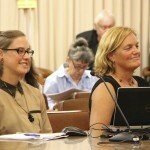 Supervisor Connolly was there to speak to the project in addition to the founder of Bioneers. North Bay Trout Unlimited recently conducted a significant project enhancing habitat in Devil’s Gulch, a key tributary to Lagunitas Creek in Marin County, California. Devil’s Gulch is critical habitat for endangered coho salmon and threatened steelhead populations along the Central California Coast. Their grant project restored woody structure in eight locations along this creek, reversing some of the adverse effects attributable to a history of logging in the area. To read more on this incredible endeavor on their webpage, click HERE or to read about it in the Marin IJ, click HERE. To learn more about why adding large woody debris LWD is good for fishery habitat enhancement, watch this video! San Geronimo Valley Planning Group’s December, 2015 Newsletter with a write up about the Healthy Creeks Workshop organized by Sarah Phillips, Urban Streams Coordinator and MCSTOPPP. Click HERE. Ross Valley Flood Control Zone 9 Advisory Board met on Thursday, April 16th. The meeting was held in the San Anselmo Town Hall Council Chambers at 525 San Anselmo Avenue, San Anselmo, CA 94960. Click HERE to obtain more information about Ross Valley Flood Protection and Watershed Program. Novato Creek Watershed Program met on Friday, March 6th from 1 pm-4 pm at Womack Conference room (upstairs) Novato City Hall 922 Machin Ave Novato, CA 94945. 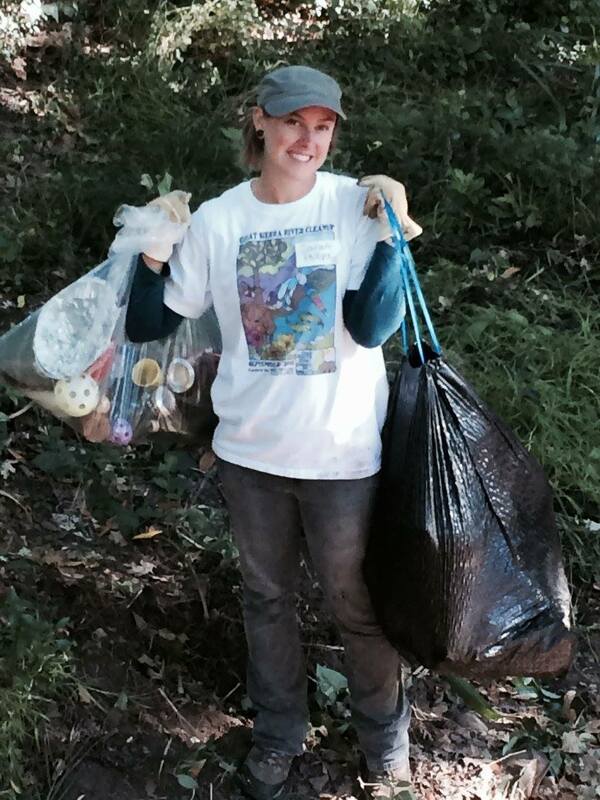 Contact Laurie Williams, Marin County’s Senior Watershed Planner, at lwilliams@marincounty.org for more information.